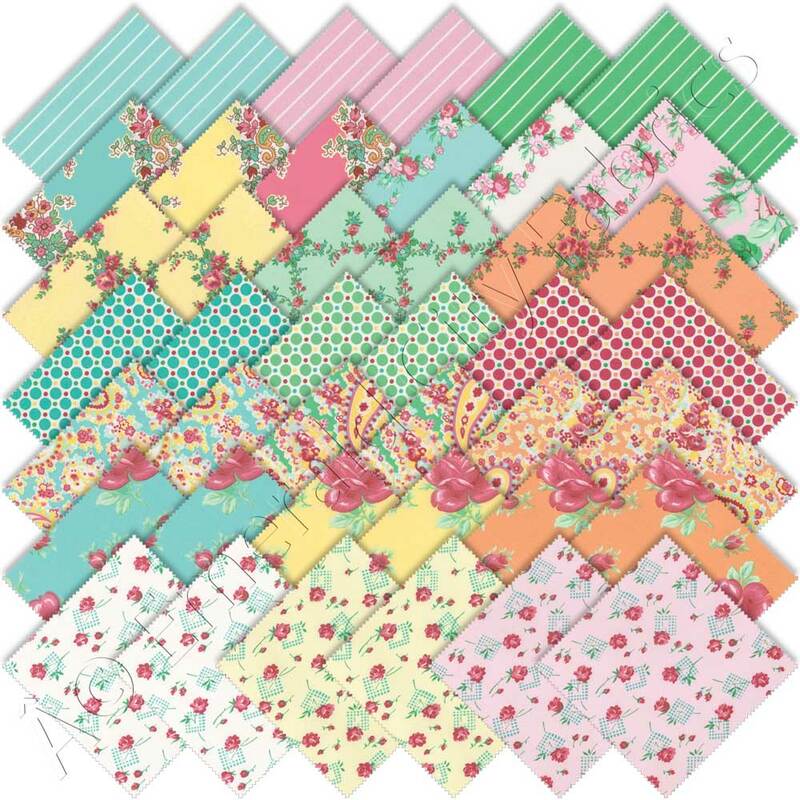 Sugar Bloom Charm Pack by Verna Mosquera for Free Spirit Fabrics. 42 5-inch fabric squares. 100% cotton. Quilt and fashion weight. Professionally cut and packaged by Free Spirit Fabrics. Free Spirit Charm Packs are convenient professionally cut assortments of color-coordinated 5-inch (12.7cm) fabric squares. These precision cut shapes eliminate tedious and time-consuming hand cutting while enhancing piecing accuracy. Perfect for any patchwork project including quilt tops, fashion apparel, home decor and scrapbooking. From Verna Mosquera: We have all experienced it. That moment when we become transfixed by the beauty and temptation of a delectable sugary treat. For most it begins in childhood. A trip to the neighborhood bakery or gathering around a friend's birthday cake. Fingers crossed just dreaming about the slice with the most frosting or, even better, the piece with the sugary rose. For many this experience does not cease in adulthood. I know for me it happens much too often. Most recently I was fascinated by a friend of mine who never eats sweets. She attended my workshop and during our special tea I served French macarons. I have to say they looked delightful on a dainty scalloped plate. The colors were so pretty she just had to taste each and every flavor. They were simply irresistible.That moment sparked the color palette for my latest collection, Sugar Bloom. I began to research the history of these delectable treats and realized there are many in the world who are simply obsessed with these beautiful confections. They come in a multitude of flavors and delicious colors. Browse the Free Spirit Sugar Bloom collection. Verna Mosquera was the little girl painting portraits of her stuffed animals and sewing treasures for her grade school girlfriends. As a young adult, Verna's exploration intensified. She studied embroidery, Japanese papermaking and artist books. After signing up for a quilting class at a local shop, she was hooked. After just one year of quilting, she began working in the store and teaching classes. She continued to study to perfect her skills while learning more about the business side of the industry by working in the shop. Verna has taught everything from beginning quilt making to more advanced piecing techniques and now mainly applique. 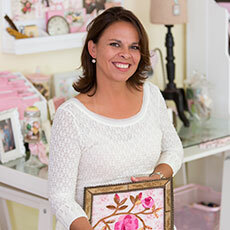 Verna's applique technique is industry-renowned and is just one of the special features of her vintage, romantic designs that make them unique, current and instantly recognizable as hers. Browse all products by Verna Mosquera. Free Spirit speaks to a new generation; a generation that looks to the designer for inspiration and community. It speaks about creativity and playful fun for fashions, home decor, quilting, crafting and more.